Obviously, environmental issues are at the heart of many of today’s debates. Turning one into an eye-catching digital art project, new media artists Nicolas Sassoon and Rick Silva contribute to the discussion in the best way they know how: the second iteration of SIGNALS, an ongoing video project which not only raises awareness about the worrying state of the world’s water, but also depicts how human beings and new technologies affect natural landscapes. In a way, they question today’s non-friendly symbiosis between natural and synthetic elements. 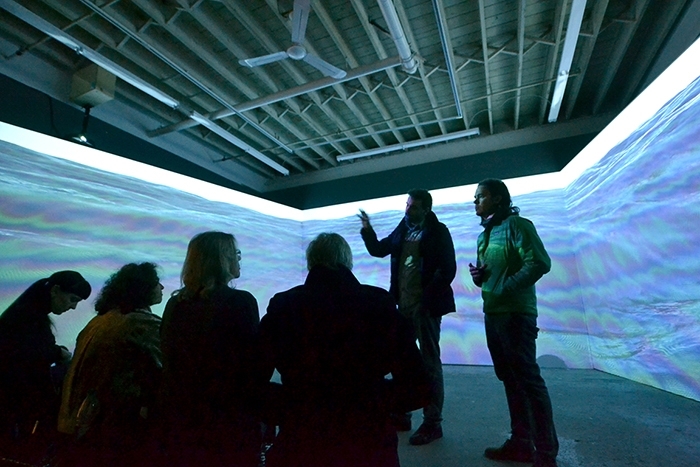 West-coast located, the duo takes over the Vancouver-based Wil Aballe Art Projects (WAAP) gallery for the next few days to generate an uncanny water vista inspired by their Pacific environment. 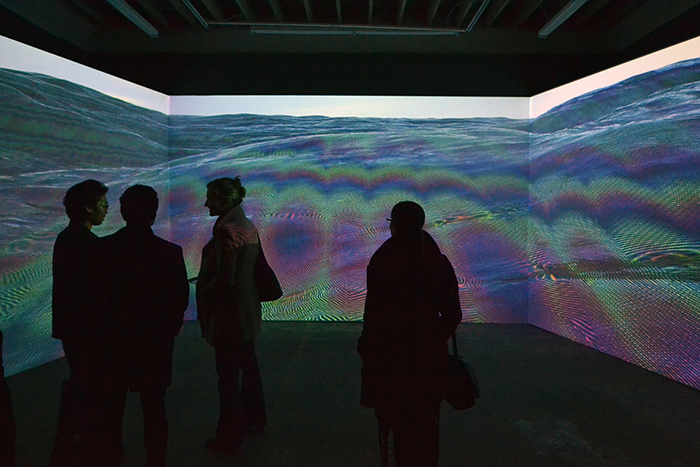 By merging their signature aesthetics, with the help of a well-oiled collaborative creative process, they turn an industry-polluted body of water into a poetic and contemplative computer-generated narrative. 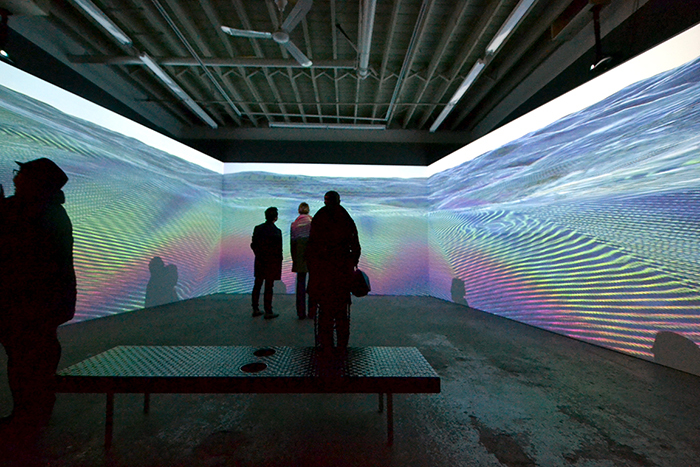 While experiencing this intimate immersive installation, viewers are surrounded by a large-scale three-wall projection, a mesmerising organic audiovisual tryptych. The smooth top to bottom transition, from Silva’s realistic 3D rendering, to Sassoon’s minimal and early computer-inspired textures, is in fact quite disturbing. A soundtrack by Silva and an essay by Alex Quicho enhance the experience, highlighting the abnormal presence of the liquid diluting into the natural water environment, propagated by the waves’ motions. Click here to see more from Nicolas Sassoon and here to see more from Rick Silva.